The new double-sided Cleanator easily and effectively removes even the most stubborn algae and limescale residues. And therefore ensures a clear view into the aquarium. The Cleanator with two surfaces is ideal for cleaning aquaria. The stainless steel wool on one side removes even the most stubborn algae and residues, without scratching the glass. The sponge side softly and gently removes minor residues. It also gets into the tightest of corners thanks to its ergonomic shape. It easily removes the most stubborn algae and limescale residues. 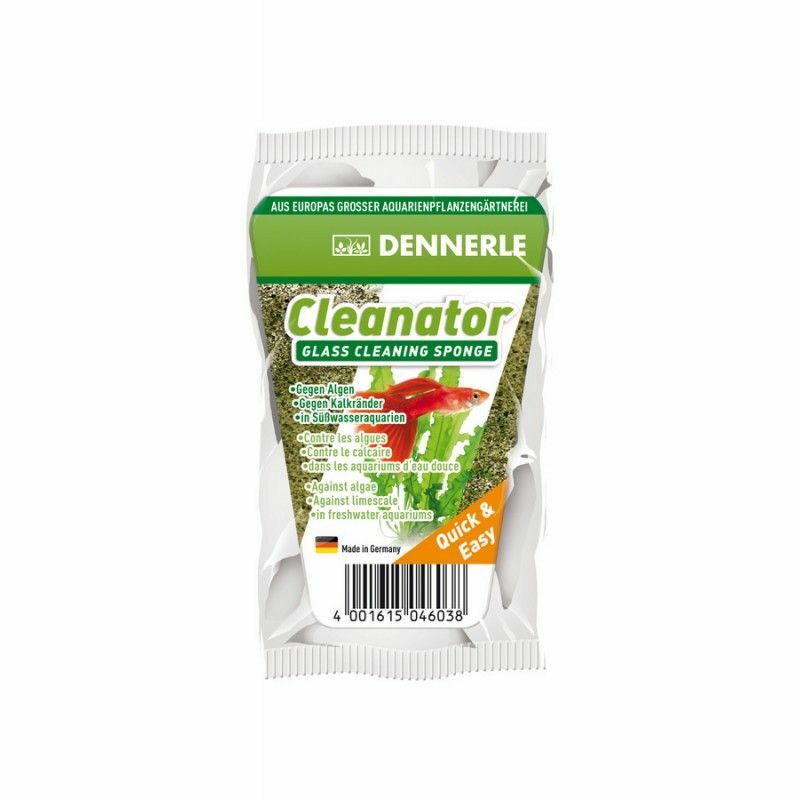 Received my Dennerle cleanator today wow this stuff really is the business “ had very stubborn water marks from when tank was set up as an African cichild tank all round top of tank and on black plastic inside of tank , this Dennerle two step sponge just cut right through the white water marks and got rid of light algae spots with ease excellent product a must have for your aquarium. I first saw this product on one of George Farmers YouTube videos. He was giving it a rave and when George raves you take notice. I have just given a somewhat neglected 110 ltr tank, and this was fantastic on the glass. Some of the algae in the real glass were quite hard, but the Denerlle sponge cut through it. An essential tool in the Aquarists toolkit.